On March 1st of this year, at an event in Barcelona, Samsung will be unveiling its new smartphone, the Galaxy S6. This past Monday, the tech industry giant sent the press invitations to one of its “Unpacked” events. The Samsung Unpacked events are utilized for the announcements of some the company’s most important products. In the past, the Samsung Galaxy Note and the Galaxy S smartphone lines were all announced at a Samsung Unpacked event. 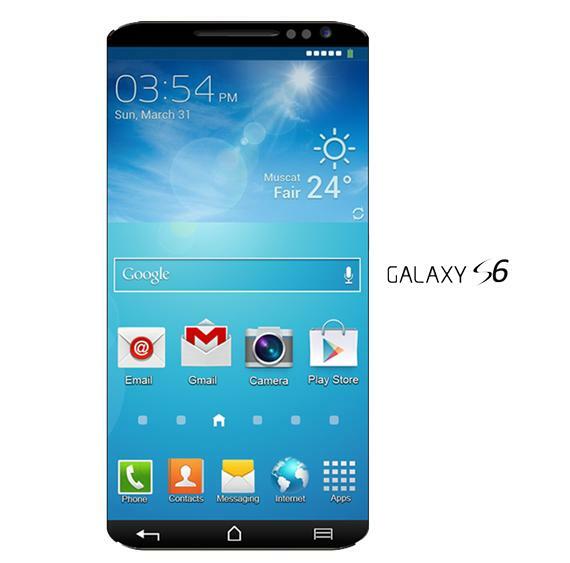 Sources have revealed that the new Samsung Galaxy S6 will be a metal-made smartphone which is a change form the popular plastic smartphone designs that Samsung has most often used in its past phone productions. The Samsung company will also be releasing a curved screen version of the Galaxy S6 which will have a design that very closely resembles the Galaxy Note Edge that Samsung launched back in 2014. The invitations that were sent out to the press by Samsung Group contained a sneak-preview of part of the Galaxy S6, and the in the photo, the new smartphone appeared to have the metal casing design that confirms the previous rumors about Samsung departing from the plastic smartphone casings. The company also is said to be planning an announcement regarding the design of its new smartwatch. The new Samsung smartwatch, according to reliable sources, will be sporting a rounded design. Long-time smartphone rival company HTC is also expected to be unveiling its new smartphone as well, which is said to be a follow-up to the HTC One M8. The HTC One M8 announcement will be on the same date, March 1st, 2015 in Barcelona, however it will be at a separate event.